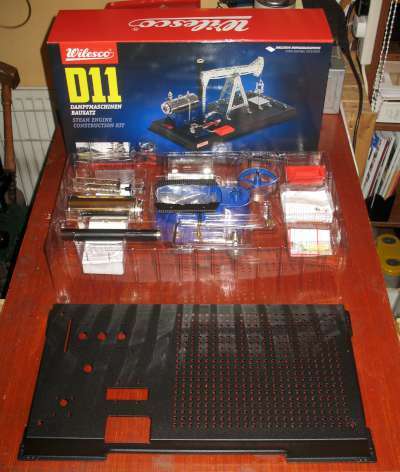 The D11 comes as a kit including Wilesco and Tronico parts to build a complete steam powered pumpjack. 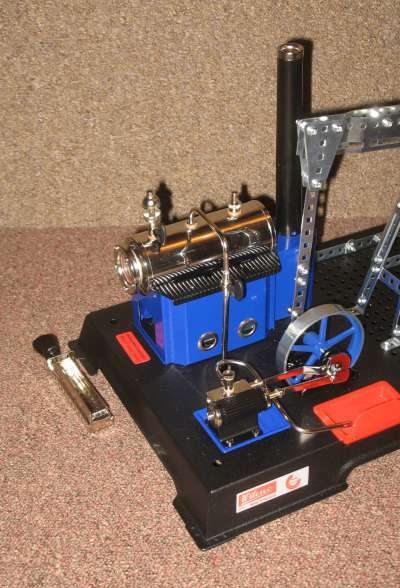 The steam engine is basically a modified D10. Apart from colouring, the differences are that it has a regulator in the steam line and the crankshaft power take off is a crank instead of a pulley. The base offers a large array of 10mm holes so that a wide variety of models may be built using Tronico parts. Tronico is similar to Meccano but with 10mm hole spacing instead of 1/2". The boiler is 108mm long x 45mm diameter, with a standard Wilesco sight glass in one end. It has a safety valve and whistle and no dome. It is heated by an Esbit burner. The steam pipe is fed through a regulator and down under the base, with no superheating, to the valve chest of the cylinder. The cylinder is a double acting "piston" valve type, 16mm stroke x approx 13mm bore. It is reversible using a slip eccentric. 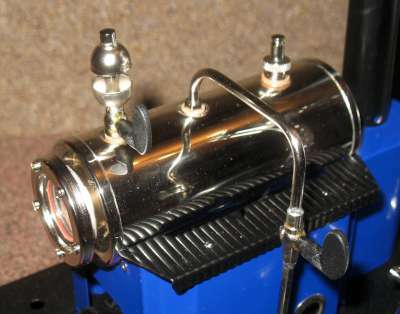 There is a small oiler fitted to the steam chest. 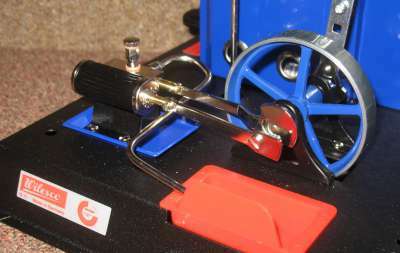 The flywheel is 69mm diameter. It has no pulley or governor. 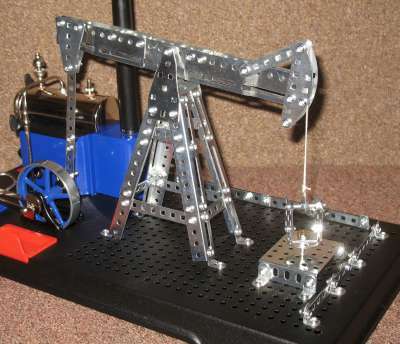 The pumpjack is made up of Tronico parts which are all silver coloured (nickel plated?). 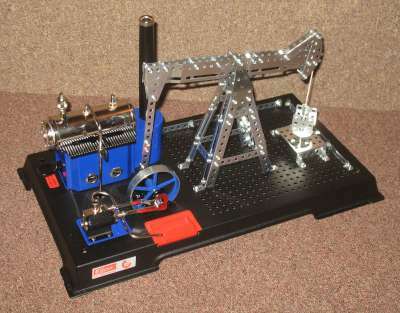 It is coupled to the steam engine with a second crank on the crankshaft end oposite to the main crank.